People have been dancing to recorded music for years at bars and roadhouses that had jukeboxes or, even earlier, piano rolls. Both jukeboxes and piano rolls were serviced by distribution companies that chose the music themselves. The Swing Kids of the late 30s, mostly middle and upper-class boys and girls, were one of a number of loosely organized youth groups or movements that would gather to dance in their own “outrageous” fashion. These gatherings mark the first instance that a disc jockey played music of this own choosing and not necessarily what was in the hit parade, tailored to a specific crowd of dancers in a non-domestic setting. Add to this the frightening cultural climate, the almost outlawed sub-culture, vivid dress sense, a politics of pleasure, uninhibited sexuality, and complex relations to class, and if they only had a primitive mixer and a drum machine, the Swing Kids might have invented Disco thirty years early. The twist is important not only because of its relationship to the discotheques, but also because it fomented a revolution in the style of dancing, on that would be crucial to the culture of disco. In Europe, during the Nazi occupation, bans on dancing and public assembly were gradually enforced less and less. Many bars copied La Discotheque’s format: Some brave soul would get his hands on a primitive PA system and gramophone, lay some cables in a vacant basement, and set up a makeshift club where a patron could listen or dance to jazz records until the early hours of the morning. Even after the occupation ended, the hovel remained so popular that it became the template for a uniquely European form of nightlife. The discotheque became the only venue in which adventurous listeners could hear music that was outside a prescribed “national culture”. European jazz fans’ distance from their American heroes led them to sanctifying the record as an almost holy artifact, as opposed to the live performance itself. Perhaps the most important of the postwar nightclubs was Paul Pacine’s Whisky a Go-Go which opened sometime around 1947-48 and moved it in 1953. Regine Zylberberg convinced Pacine to let her take over the old location. Zylberberg wrote: “I could lay my hands n a barnmaid, disc jockey, cloak room attendant and bouncer straight away….We had a contrasting mixture at the club, but it was effective. We danced the cha-cha, meringue and of course rock ‘n’ roll. I’d bought some rock records before it became fashionable, and when people started talking about it I got them out and everyone went wild". The discotheque became a celebrity hangout. 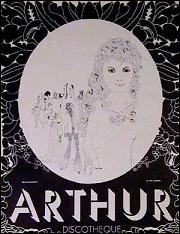 Sybil Burton (Richard Burton’s ex) opened Arthur in May 1965. It was the first club to undo the jet set – it was no longer good enough to have a name or money, just beauty to catch the eye of doorman Mickey Deans and gain access to the world beyond the velvet ropes. It foreshadowed the caste-destroying social aesthetic that could become one of disco’s biggest gifts to world culture. Outrageous people with the merest hint of prostitution and hustling, the beginning of that all important night world concept that would be elevated to an art form a decade later by Studio 54’s Steve Rubell. The concept of the mix was taken one step further by Arthur’s disc jockey, Terry Noel. He had been a house dancer and understood both the highs and lows of the three-minute pop single. While the immediacy of the traditional single got people onto the dance floor in a hurry, its abrupt ending got them off just as quickly. With Arthur’s fairly sophisticated sound system and two turntables at his disposal, Noel became the first DJ to mix records, to blend, per say. Robinson and The Miracles, the Mamas and the Papas, Otis Redding and the Rolling Stones as part of one continuous flow. Now there was no abrupt ending, no jarring halt to your favorite song, no excuse, other than physical exhaustion, to stop dancing. 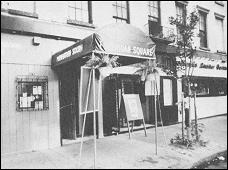 In the New York area, predominantly black clubs like the Territorial Club, COCP, the Dom, and more, combined aspects of the house/rent parties of the 1920s and ‘30s with the African-American of the “jook” (a kind of party from different regions) to create atmospheres that were halfway between a bar and someone’s house. At the Salvation discotheque in Sheridan Square, Ann Henry spun and controlled the lights, projecting parameciumlike fractals onto the clubs white walls. These wild fantasyscapes and the development of multimedia aesthetics, technology encroaching on art, and vice versa, the old divide between high and low culture started to crumble. Improvised theatrical events and emphasized the experiences and sensations of the audience, not only questioned the nature of art but also the role of the spectator. The previously passive audience of art and cinema was now being asked to become part of the process, part of the work of art. Andy Warhol’s jarring discotheque environment, with music provided by the Velvet Underground, film projections, strobe light show, and patterned slides designed by Warhol, rock bands, poetry, lectures impromptu bongo jam sessions and child care provided by the Hell’s Angels. Of course, in the sphere of dance music the dancers had always been part of the spectacle. The focus at the gatherings was firmly on the dance floor, with the dancers essentially the star performers. As Sly Stone sang in 1970, “Everybody is a star” and as Sybil Burton’s notion of the “mix” indicates, this idea of the audience being the true star of the show would become one of the most subversive aspects of disco culture. The Electric Circus’s opening gala in 1967 featured trapeze performers and performance artists. The club featured a blinding light show and a sound system so powerful that Edison, New York City’s electric supplier, had to lay a special cable underneath the street just to power it. The Church (which was indeed housed in a former German Babtist church) became one of the most celebrated and outrageous clubs in the long and colorful history of New York’s nightlife. Before the altar with its broad marble communion table and imposing range of organ pipes stood a long haired DJ preparing the disco sacrament. With the throw of a switch he could black out the hall and illuminate it eerily with lights shining through the stained glass windows. He would often play the theme song from “Jesus Christ Superstar” lighting up each of the stained glass windows as he did. Thus, the Catholic Church managed to persuade a judge to grant an injunction against the club, forcing it to close down. It re-opened as The Sanctuary but eventually closed down in 1972. The orgiastic spirit of the Sanctuary was intensified by the music, a triumphal march of syncopated drums and keyboard fanfares – the ceremonial accompaniment to a tribal rite of initiation for people who were just beginning to conceive of themselves as a group, as a unified whole. The DJ’s name was Francis Grasso and he almost single-handedly created what would become disco’s sonic hallmarks. DJ before Grasso played whatever was popular at the time. Grasso, on the other hand, was playing African music that was recorded in 1959 in the early 70’s and playing obscure British imports that he had to bug record shops to order specially for him. 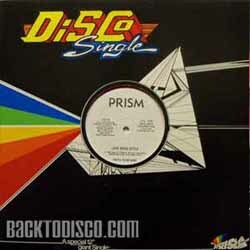 Grasso’s taste in percussive rock specially created the nexus that would eventually establish disco as its own musical genre, as something distinct from either soul or funk. Many of the records he championed were funky but definitely not funk. But it wasn’t just the playlist that was revolutionary, it was what Grasso did with his records that helped define disco as a style and not just a place you went to hear records. Although Terry Noel was the first DJ to actually mix records, it was Grasso who would make the DJ set a unified whole rather than a collection of individual records. Grasso had replaced Noel as the DJ at a club on Central Park South called Salvation II one night in 1968 when Noel showed up late and it was here that he hit upon the idea of the DJ mix as “a journey”, as one continuous piece of music that the DJ himself created out of ready-made parts, and set the notion that a good DJ was a gifted musician in his or her own right and that a turntable was a mixer were his or her instruments. Grasso is generally credited as being the first DJ to beat mix (to sonically overlap two records so that their drumbeats are synchronized), and he introduced the technique of slip-cueing (holding the record about to be cued in place while the turntable underneath spins, so that the record can be stared exactly where you want a the exact millisecond you want it started). He used this technique to extend the dancer’s pleasure potentially indiefinitely by playing two copies of the same record on two turntables, lengthening the grooves of many crowd favorite songs. It was a thrilling, intensely physical sound, particularly when blasted through the mammoth stacks of speakers that the Sanctuary had acquired from the rock band Mountain. Focusing on the DJ, dance floor, lighting and sound aspects.